Dr. Max Robins remembers a JNF Blue Box always present on the kitchen table. Born and raised in Detroit, his family placed an importance on both his secular and Jewish education. "My mother took great pride in teaching me about the birth of the Jewish State, and I remember holding the sepia-colored JNF certificate given to my grandfather recognizing his contribution toward purchasing land in pre-state Israel," said Dr. Robins, who now splits the year living in Michigan and in Naples, Florida with his wife, Judy. It was at Wayne State University when Dr. Robins met and married Judy, a former educator. Later, Dr. Robins pursued his training as a physician from the College of Osteopathic Medicine in Des Moines, Iowa, and it was during his residency that Dr. Robins decided to specialize in pediatric medicine. As the Robins family began to grow, Dr. Robins, his wife, and four children relocated to East Lansing and became involved in the local Jewish community. "I always bought trees from JNF for bar mitzvahs and simchas," Dr. Robins said, but it was when he retired that he looked to become more involved in Jewish causes. 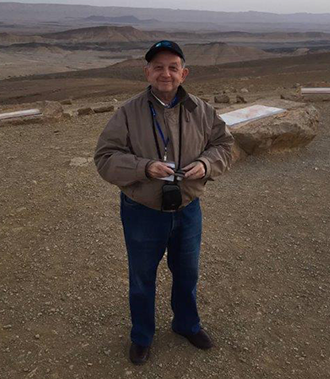 A member of JNF's President's Society, which recognizes donors who make an annual gift of $10,000 to JNF, Dr. Robins visited Israel in 2015 on JNF's President's Mission. 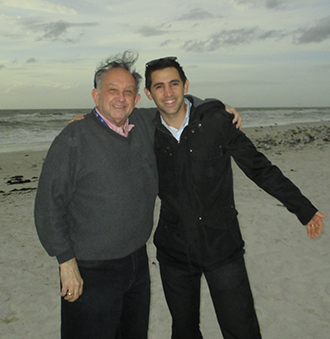 'The trip was eye-opening, exciting, exhausting, and marvelous," Dr. Robins said. The group visited several JNF sites and it was after seeing the new JNF medical center in the Central Arava that Dr. Robins decided he wanted to do more. "That was my first time visiting the Negev and I recalled the words of David Ben Gurion, who said, 'In order for Israel to flourish, the Negev must bloom.'" What particularly struck Dr. Robins was the lack of ambulatory services for the region's growing community. That's when he decided to make a donation to purchase an emergency emergency rescue vehicle for the Central Arava Command & Control Center. "It was a need that just stuck in my mind," he said. 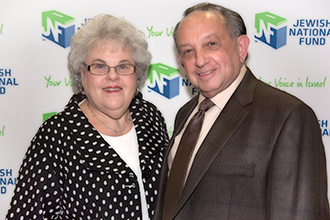 A savvy donor, Dr. Robins has supported JNF through a qualified IRA rollover. In 2015, Congress enacted a permanent extension of the IRA charitable rollover, allowing individuals aged 70 ½ and older to make gifts directly from their IRA in 2016 and beyond as a way to lower the income and taxes from their IRA withdrawals, up to $100,000. The Robins's also know about the benefits of supporting JNF through outright gifts of appreciated securities, locking in their gains and avoiding paying capital gains taxes on the appreciation in the donated assets. Thanks to Dr. Robins and Judy's generosity and awareness, their stock gift, which also inaugurated them as new members of JNF's King Solomon Society, helped fund the rescue vehicle critically needed in the Central Arava, helping countless Israelis in the region.